The Only Way Is Essex couple Courtney Green and Myles Barnett have let slip some of the show’s biggest secrets, revealing how some cast members “push for storylines” when they are short on the cash. Speaking to OK! magazine about their relationship, the loved up reality stars admitted they were totally comfortable filming together because they are “with each other every day”. Despite having their own fair share of drama on the programme this season, the pair revealed that some of their co-stars actually push for storylines in order to rake in more money. “There are a lot of people who need to earn money so they’ll push for storylines, but I have a job. I was genuinely happy with being a chilled character, then drama fell into our laps,” said Myles. Courtney and Myles went through a bit of a rough patch on the show when it came to light that Courtney was still in contact with her ex-boyfriend. However, the two managed to get things back on track and now they are determined their relationship will survive the show. 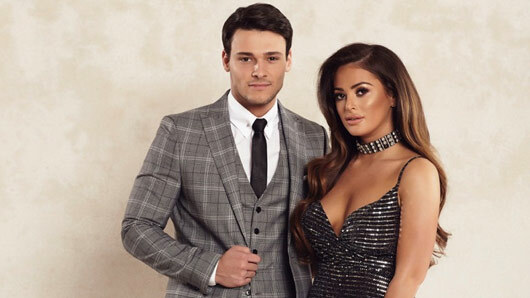 They even asked their fellow co-stars for some relationship advice and will be following in the footsteps of Tommy Mallet and Georgia Kousoulou from now on; the only couple to survive the TOWIE curse. The Only Way Is Essex will return soon to ITVBe.